We provide Security, CCTV and Access Control for large properties to individual buildings or moving vehicles or vessels. We also have Mass Notification Alarm Systems for industrial application in industrial production environment such as manufacturing or public locations such as airports or shopping malls. 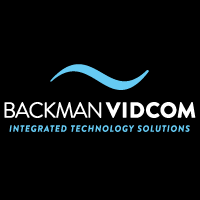 Virtually any low voltage system that needs to be installed in or on a building, moving vehicle or vessel can be performed by Backman Vidcom. We provide a long list of products depending on the performance requirements and project scope including; Crestron, Extron, Samsung, Panasonic, Sony, Hitachi, Kramer, and more.